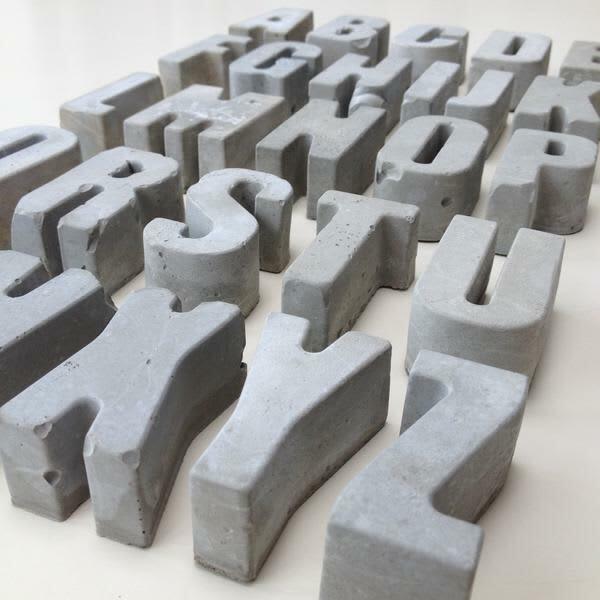 Create your own words and phrases using these beautifully rustic hand-cast concrete letters and numbers. Designed by British design studio An Artful Life, each letter is carefully crafted by hand in the UK from solid concrete. Hepworth Wakefield in West Yorkshire, United Kingdom.